UPDATE April 2017: As I’ve gained experience working with Magento, for example, multi-store set-up, bulk uploading of large catalogs, delivery integration, etc., I’ll be updating this page very soon. To give you an idea who’s using Magento, here are a few “who’s who” names you’ll recognize: Office Max, Converse, Hollister, Dockers, The North Face, Nike, Sony, Samsung, Vizio, Olympus, Lenovo, Movado, Godiva, Ford, Goodyear, Men’s Health. Forward Multimedia chose Magento as the platform for only those Trinis who are serious about capitalizing on the e-commerce revolution that’s already begun. Forward Multimedia is also the ONLY web design company in Trinidad & Tobago currently offering Magento. These companies use a more robust ‘Enterprise Edition’ for their global business scale, for which annual licenses start from at least US $15K alone. For us mere mortals though, we can freely make use of the Community Edition (CE) which uses the same base as that of the Enterprise. It’s not a watered down version mind you. In the short-term it may seem like overkill to use such a platform when there are other free, open source ones like Open Cart, Zen Cart, Presta Shop, etc., with their own pros and cons and vehement supporters. Magento is not without its detractors though. Many point fingers at its steep learning curve and complex platform. Forward Multimedia is a Magento Solution Specialist with strong expertise in using the Magento E-Commerce platform to efficiently align business objectives with Magento functionality, optimize use of native features, and avoid unnecessary customization. But my take on it is that it’s something you can grow into but never out of and from what I see of the developing e-commerce landscape in Trinidad & Tobago, you’re going to be glad you were among the first to start using it five and ten years from now. Is Magento too robust for T&T? Magento is for serious e-commerce on a large scale with 1000+ products and definitely not for you if your vision is limited to a few orders per day and and a handful of items. 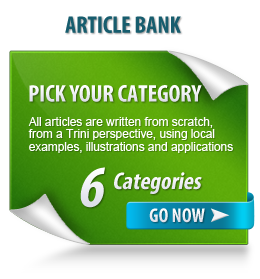 It’s for you if your market is the 400K Trinis online and see the rest of the Caribbean on the horizon. If you have a store and just want to add the convenience of online shopping then Magento is NOT for you. If you see a great opportunity for E-Commerce in Trinidad & Tobago and want to ‘try a ting’ then Magento is NOT for you. The bottom line is that if you’re thinking small scale e-commerce then you’re better off with a WordPress-based online store. However, I don’t offer the FAC payment gateway with WordPress. Why is Magento so expensive? If you look at my price plans you’ll see that a Magento site is expensive. I’ve found that it takes a lot of work to configure and get it right so it’s more time consuming. Complex products with many options like size, color etc., requires more work. Added to that are the other required set-up costs: hosting on a Virtual Private Server (VPS), TT dollar payment gateway integration via First Atlantic Commerce (FAC), SSL Certificate, not payable directly to me), but I’ve included in the total price. For a site to be competitive and make you money, additional supporting add-ons and features go the extra mile. Syncing your offline inventory system or integrating with your physical store calls for additional software support and database coordination. On the contrary it’s going to get more expensive as sites built with it get bigger and bigger as e-commerce in T&T evolves. It’s probably tempting to test the waters first with a non-Magento online store then upgrade later on. That’s a decision you’ll have to make based on your business strategy and budget. Online store-owners are business-people depend on the expertise of the experts of course. How many really understand how the computer network in your office works? At this early stage of local e-commerce there are few Trinidad web companies with e-commerce expertise in general, much less a platform like Magento. However, access to any expertise is now unlimited because of our connected world. The clincher is making the right connections. Forward Multimedia has already forged partnerships with skilled Magento developers and is continually adding to and strengthening these relationships with a view towards long term technical support. (2) the back-end (the admin area where you manage your store). Is a VPS absolutely necessary? A Virtual Private Server (VPS) is the recommended hosting set-up for Magento. The reasons cited are because the Magento platform is very resource hungry. However, I have a couple clients using it on regular shared hosting (for the time being) without issues. The Community Edition differs from that of the Enterprise but both have the same underlying capabilities. The good news is that these capabilities are probably more than you’ll be able actually make full use of. Open the PDF for the official feature set. Forward Multimedia provides technical support for Magento stores via third party Certified Magento Developers I’ve partnered with. Clients draw from a central pool of prepaid hours so that technical issues are troubleshooted and resolved in a timely manner. Forward Multimedia is available for ongoing updates to your Magento store like adding pages, products, product categories or to make changes to website settings like shipping, payment options etc.